4 in. 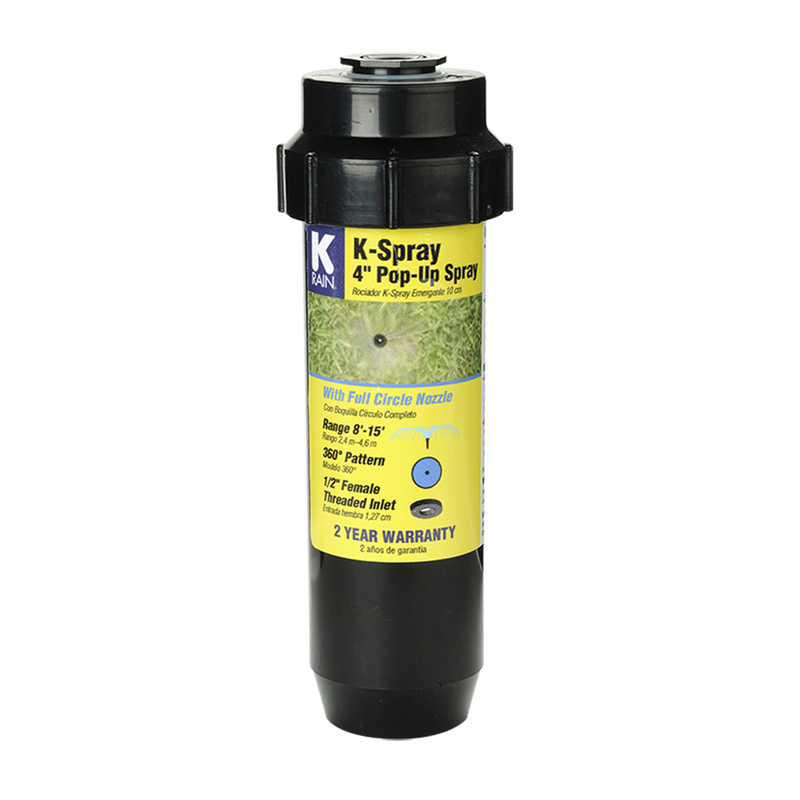 Pop-Up Spray with fixed 360° male thread nozzle, features a 15 ft. maximum spray radius. It has a 1/2 in. 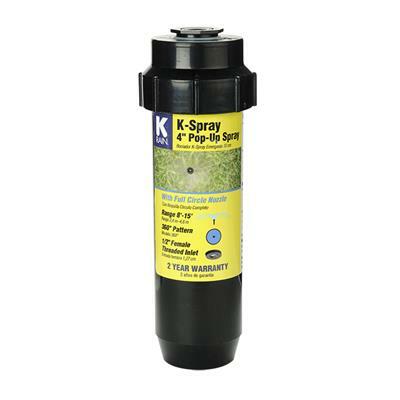 inlet that is ideal for watering smaller lawns, ground cover or shrub areas. A built-in fine-mesh filter prevents debris from clogging the nozzle.